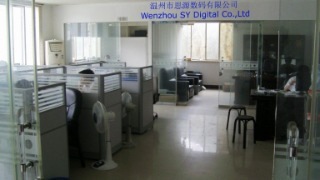 China Dxr Technology Co., Ltd. is a group that owns a 5 years experience card making plant located in Guangzhou. We have customers all over the world. Our main products are plastic card,paper scratch card and metal card.Such as plain card, pvc card, pet card,petg card,mini card, calling card, charge card, pre-printed card, barcode card, hologram card, 3D card, hot stamping card, silkscreen card, offset printing card, blank card, signature panel card, magnetic stripe card, flat black number card,SLE4442 contact card, Mifare contactless S50,S70,Desfire,Ultralight card, emboss card,clear card, glossy card and matte card. We establish strict quality management system in accordance with ISO9001:2000 standards. We supply cards which comply with ISO8710, ISO7816 and ISO14443 standards. Our tenet is "high-quality, reasonable price and on-time shipment".